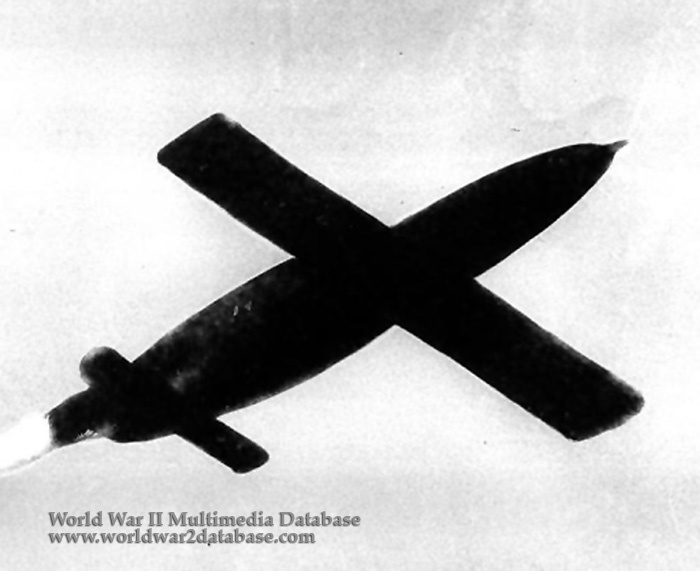 During the week commencing June 25, 1944, 125 V-1 Fieseler Fi-103 flying bombs ("doodlebugs") fell on the area of South London. The Boroughs included are Deptford, Lewisham, Bermondsey, Southwark, Lambeth, Croydon, Wandsworth and Dulwich & Camberwell. About 357 people were killed and thousands more badly injured. This V-1was one of many that were launched on June 26. 35 people were killed in South London that day. V-1s impacted every 20-30 minutes. June, July and August 1944 became known as the "doodlebug summer."